Hamburg's economic importance can hardly be overstated. It is a city of superlatives: It is Europe's second-biggest port, the third-largest aircraft manufacturing location worldwide, the most important railway node in Northern Europe, and has more millionaires per capita than any other German city. The list of the more than 1,800 companies engaged in foreign trade here reads like a who's who of the global economy. Key sectors include shipbuilding, shipping, logistics, aviation, mechanical engineering, banks, insurance and food. Hamburg is also a key media center in Germany. Within a one-kilometer radius are the head offices of such high-profile publications as Die Zeit, Der Spiegel and Stern. The city's four universities and 30 institutions of higher learning also ensure a plentiful supply of young scientific minds and entrepreneurs. 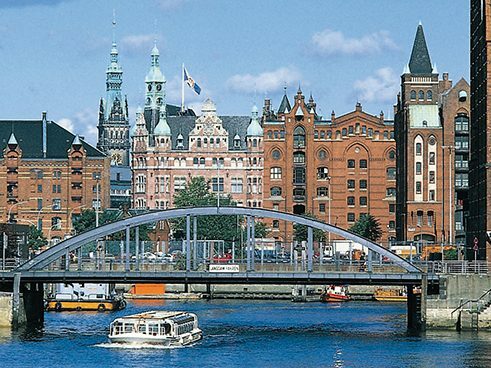 When it comes to popular music, Hamburg tops the charts in Germany. The music and entertainment sector is bolstered by a robust infrastructure of more than 100 music clubs, 280 music publishers and 200 labels. 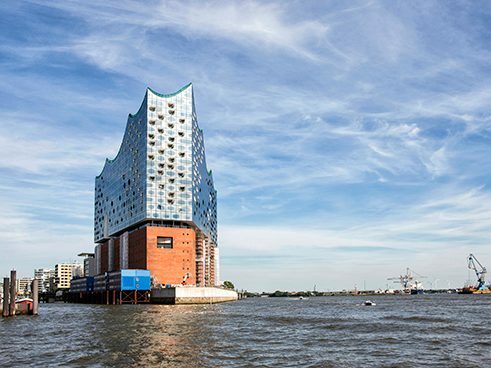 In addition to the renowned Hamburg Staatsoper, whose orchestra will move into the spectacular new home of the Elbphilharmonie at the harbor in 2012, the city maintains two major state theaters. The numerous privately owned stages also offer a lively program ranging from musicals and comedy to cabaret. Some 60 museums have collections dedicated to art, history and science, many featuring world-class exhibits. With more than 10,000 artists living and working here, Hamburg is second only to Berlin among Germany's most creative cities. The people of Hamburg love the water. 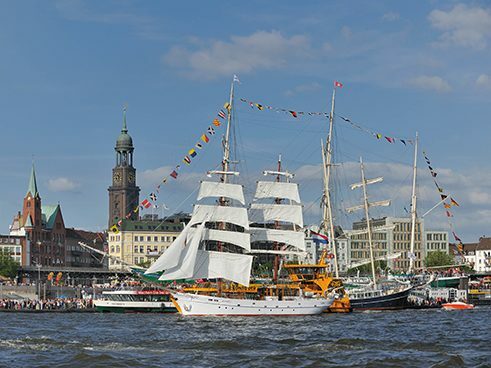 The two rivers, the Elbe and the Alster, the impressive harbor and the countless canals, fleets and bridges, give the city a unique maritime charm. Equally beloved here are the festivals. In early May the city celebrates the anniversary of the port and the Japanese cherry blossom festival. The Alstervergnügen, or Alster Fair, an enormous festival of food, music, theater and sporting events, including an international fireworks festival, takes place at the beginning of September. The club scene in Hamburg's lively west end is among the most varied and innovative in Europe. There is also plenty to do for those who love sports. The best way of exploring this green metropolis is by bicycle. The Alster offers a place to sail right in the middle of town. On the Alster canals, pedal boats and rowboats can be rented, and in the surrounding country side there are plenty of bicycle routes for discovering charming towns and beautiful scenery. In the summer the renowned Schleswig-Holstein music festival is a perfect opportunity to get to know the region outside Hamburg. And just an hour's drive from Hamburg's city hall is a unique natural paradise on the North See: the Wattenmeer, which is designated as a World Natural Heritage site.